With an active rider base in more than 35 cities, the TVS Apache Owners Group is only growing bigger by the day. What’s the best way to celebrate? By riding across the border to what is one of the most picturesque countries in the World – Bhutan. 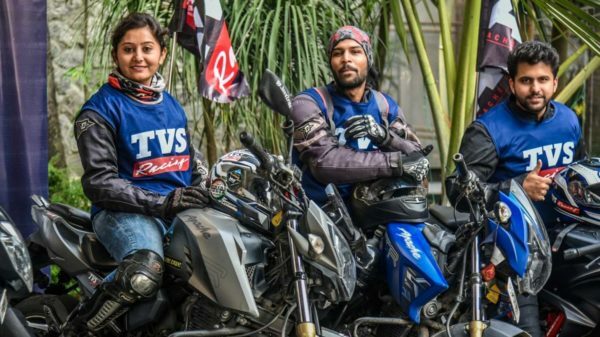 The Apache Owners Group’s (AOG) first international ride, their journey commenced from Siliguri, West Bengal, from where, 17 TVS Apache owners, both men and women riders, will traverse across the landscape of Bhutan astride their TVS Apache motorcycles. 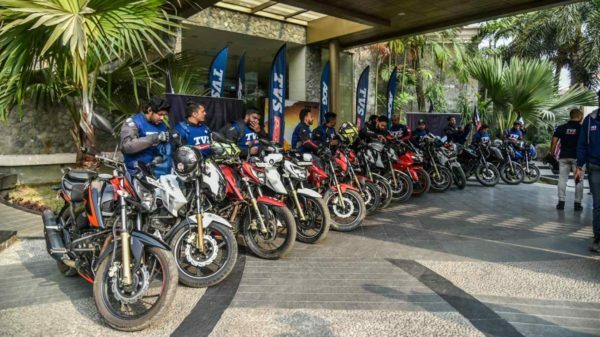 The entire range of TVS Apache motorcycles namely – TVS Apache RTR 160, TVS Apache RTR 160 4V, TVS Apache RTR 180, TVS Apache RTR 200 4V and TVS Apache RR 310 will be participating in the ride. The riders will cover a distance of 2000 kilometers over the course of 10 days. With many successful rides conducted across India, TVS Apache is now giving AOG members in India an exclusive chance to participate in international rides. Post departure from Siliguri, the team will reach the small bordering town of Phuntsholing. From there on, they will proceed to the vibrant capital of Bhutan – Thimpu, followed by Kuenselphodrang where they will get an opportunity to see the world’s largest statue of Buddha. On the 5th day, the adventure continues on to Punakha valley along the banks of two prominent rivers in Bhutan – Mo Chu and Pho Chu. The ride will also see them traverse through the Jigme Singye Wangchuck National Park (home to Himalayan black bears, red foxes and black necked cranes, etc.) before moving to picturesque Paro and embarking on a journey to get a glimpse of the famed Tiger’s Nest or Taktsang Monastery. 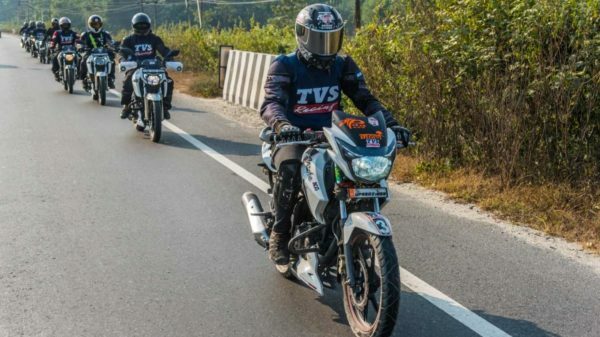 To end on a high, the riders will scale the highest motorable pass in Bhutan, Chelel La, on their TVS Apaches before concluding the ride at Siliguri.